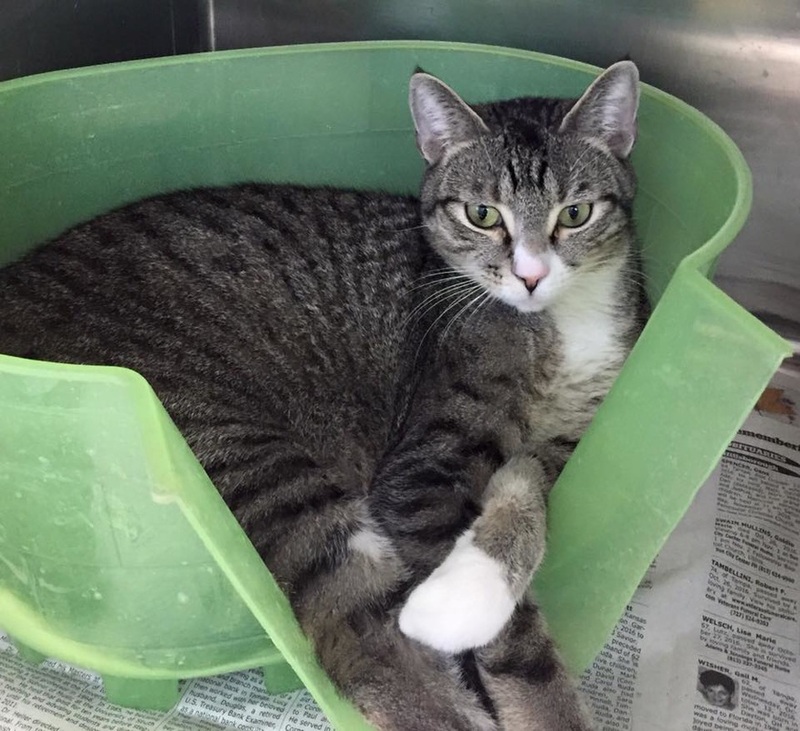 Thank you so much for visiting our site to learn more about the wonderful cats and kittens available at our local animal shelter, Hillsborough County Pet Resource Center (HC-PRC) in Tampa, FL! This site is run by a group of independent volunteers who work very hard in between full time jobs and family obligations to promote awareness of the many animals available for adoption at HC-PRC. With every "like" of our Facebook page and every "share" of a picture or post, we come one step closer to our goal of finding these amazing furbabies their forever homes. We invite you to like and share our page using the links below and help spread the word to your friends and family members. You never know who might see it and decide to adopt! Ready To Go Kitty - can come off hold at any time! Toby is a Ready To Go kitty, which means he is fully vetted and ready to go home today! Toby is a gorgeous tiger boy who was surrendered by his owner when they lost their home. He loved getting attention and petting from our volunteer, especially cheek rubs! Won't you consider saving a life and adopting him today? He is at extreme risk of euthanasia after being at the shelter over two months. Only $20 to adopt, fully vetted! To adopt this kitty, go to HC-PRC in person and fill out an adoption application. The shelter is open daily from 10am-7pm. Click here for more information about the shelter adoption process. Help Us Reach More Adopters! If you're local to the Tampa Bay area, you can help us save more lives by reaching more adopters and fosters! Print this UCTB Flyer and hang it up in local stores and public locations to advertise our page. There are approximately 2 million people in the Tampa Bay area, and most don't know how many lives are being lost DAILY at the shelter. We need to reach those people and educate them so more lives can be saved. Thank you for your help - it takes a village to save lives! The animals on the Pre-Euthanasia Report are SCHEDULED FOR EUTHANASIA THE FOLLOWING MORNING AT 9AM!!! If you can adopt, adopt-to-rehome, foster or rescue, FIRST email RescuePets@HillsboroughCounty.org with the words DO NOT EUTH and the Animal ID# in the subject line, THEN go to the shelter IMMEDIATELY for a meet and greet (if it is after hours, go first thing the following morning). Include your name and contact information in the email and let the shelter know what time you can pick up the cat. Adoptions MUST be done in person, so DO NOT email unless you are personally picking up the cat! The shelter will not hold or transport cats for out of state adopters, so don't email and ask. Please also send a copy of your email to UrgentCatsofTampaBay@gmail.com so we know who is still in danger. The cats and kittens on the current euthanasia list are also posted on our Urgent Cats of Tampa Bay Facebook page. Please share their pictures tonight to save their lives, even if you think your friends won't care - you never know!! The shelter is open from 10am-7pm daily! 440 N Faulkenburg Rd, Tampa, FL 33619.